It’s time to start planning your school’s budget for the 2017-2018 school year, which means it’s time to make due on that promise you made to yourself, your teachers and staff, or maybe even a few parents—fit parent engagement into the budget. It’s not as difficult as it may seem. Teacher trainings can qualify for staff development. School leadership training can support administrator workshops and parent leadership training workshops. One of the first communications you send to parents this school year should focus on your dedication to their children’s education. That’s the primary message parents need and want to hear. But the secondary message you should convey is that you need their help for their children to succeed. As you prepare for the 2015-2016 school year, think about your students’ parents. If any of them immigrated to the U.S., they might have a different idea than you do about how involved they should be in their children’s education. Latino immigrants particularly tend to trust the public school system to provide their children with the education they need, beginning in kindergarten, according to advocates and studies. Their role is to keep their babies safe, clean, well-fed and loved –– an attitude that can lead to children being nurtured but starting school irreparably behind. 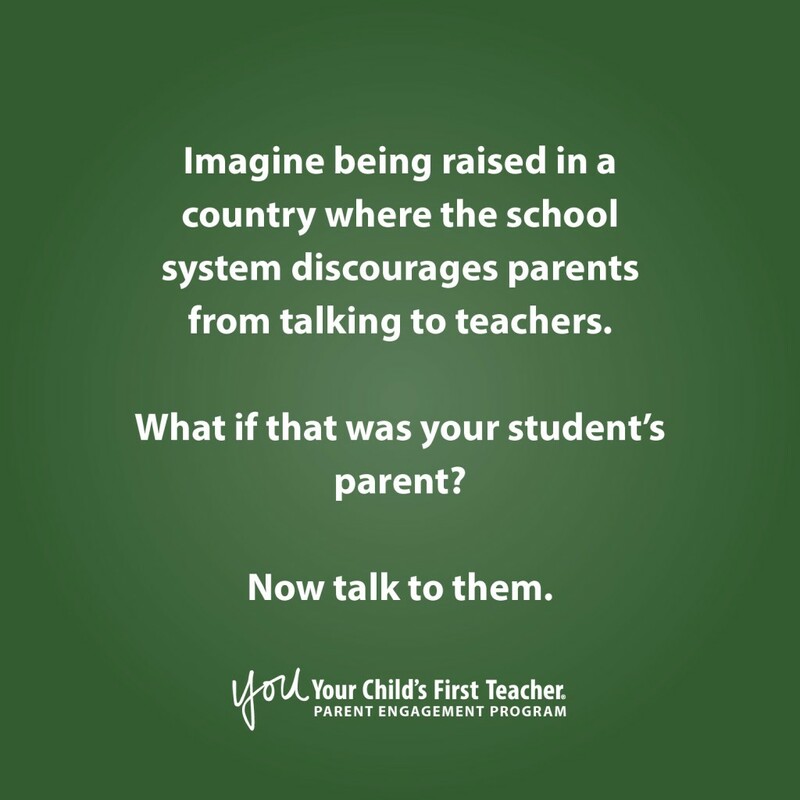 Use the beginning of the school year as an opportunity to talk with your students’ parents and align your goals, regardless of their cultural background. Speak with school administrators about hosting a parent workshop before school starts or at the beginning of the year. The YOU Program offers parent workshops in Spanish and English and will teach parents the importance of parent engagement so that you start the school year on the same page. Your students’ parents will know what is expected of them and learn how to take a more active role in their children’s education, which will help the students come to school prepared to learn and boost their chances of success. Join the conversation about what we should be communicating to our students’ parents by using the #NowTalkToThem hashtag on Twitter.